She’s obsessed with putting boots on. And taking them off. And putting them on. Over and over. 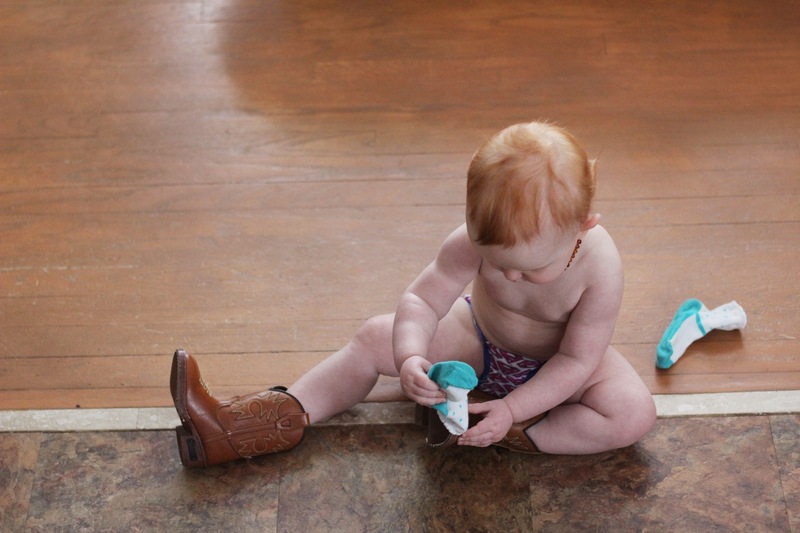 She especially likes these cowboy boots which make a whole lot of noise on the wood floors. Smart little girl. Boots are not that easy to put on.